(HOT) Join TrickyTime Telegram Channel to Get Latest Deals & Loots Instantly!! – We have a good news for you! Finally we are here with one more way to stay updated with the latest news, offers, deals and loots. 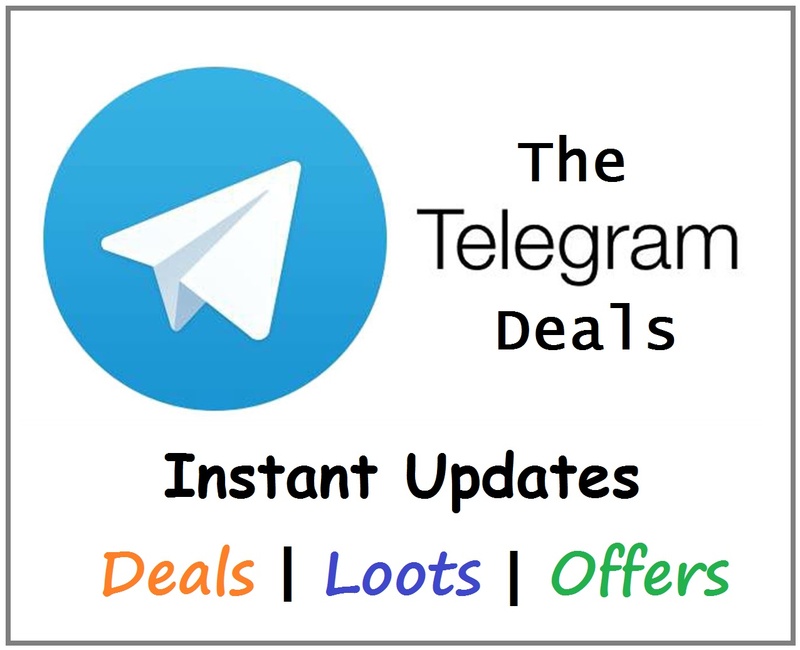 TrickyTime Telegram Deals. Join this new Telegram Channel to instantly receive alerts of new deals, loots, offers and tricks. We ensure you to share a latest and working deals at super fast speed. Join the channel instantly through a link. Get instant updates of all new loots, deals and offers. No spam, we promise, only genuine and working tricks will be shared. Regular Giveaways for Channel Subscribers. If you don’t like the channel then you can leave it instantly with a single click. How to Join TrickyTime Telegram Channel? 2. Install, Open the Telegram app and register your Account using your Mobile Number. 4. Click on JOIN button to Join the Channel and Start Receiving Alerts and Updates of New Posts, Deals and Offers. Login and then search for @ttalerts channel and join that channel. That’s it. You are done with your side. Now its on us. You will start receiving daily loots alerts. If you like the service then do share it with others and also ask them to join the channel. Hope you will enjoy the alerts and never miss a single loot or giveaways. Having any queries or doubts? Bother not, just comment below. Thank you! There are plenty. You can join Channels and receive their Broadcasts along with the alerts. Also, it is similar to Whatsapp and has almost all the features of Whatsapp. You can create your own channels and groups.